GPS receivers might not sound glamorous but the OriginGPS Multi Micro Hornet could be much more exciting than at first glance. OriginGPS is aiming to improve navigation accuracy and save battery life in wearable tech. To do so it has built the world's smallest 'multi-constellation' module with antenna for both GPS and GLONASS. The Multi Micro Hornet is just 10 x 10 x 5.9mm in size and is very low power with smart updates to conserve battery life. 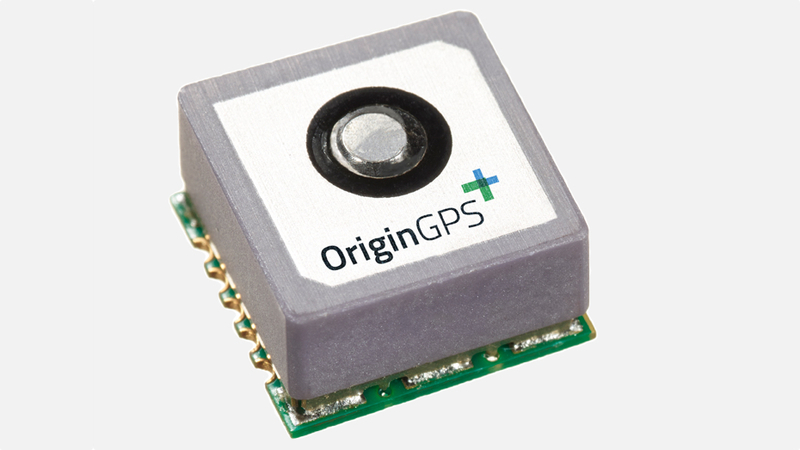 "The average GPS receiver may view 4 satellites in any given time and it calculates a position accordingly," OriginGPS CEO Gal Jacobi told Wareable. "Now, imagine doubling the number of available satellites. A receiver that works with both systems might then see 4 American GPS satellites and 4 GLONASS Russian satellite constellations. Generally speaking, as the number of satellites that a receiver views in the sky grows, the better the sensitivity, the shorter the "time to first fix" and thus the better the power consumption." Jacobi also points out that it's often much harder to get a GPS/GLONASS fix in dense urban areas - or "urban canyons" - (where we'd expect the majority of wearable tech early adopters to live) and when a device is worn close to the body. "The difference between GPS only and GPS + GLONASS simultaneously could be translated to the difference between no reception and best-in-class location-based services," he said. The Multi Micro Hornet will be available to manufacturers in two weeks and OriginGPS expects the first products featuring the tech to appear within months. Engineers can already buy Evaluation Kits to get started. We have already seen some high profile wearables feature built-in GPS, such as the Garmin sports watches and the Sony SmartWatch 3, but it's a feature missing from many fitness focused devices that we'd want to use without a smartphone. The obvious reasons are size constraints and concern over battery life. That could all be about to change. "The vast majority of existing wearables are not fully autonomous," said Jacobi. "This means that as far as GPS is concerned, location is usually communicated via Bluetooth by a paired smartphone. "OriginGPS enables the revolution of the next generation of wearable devices – autonomous wearables for children and the elderly, fitness bracelets, smart cameras – by offering the world's smallest form factors with best in class power consumption."